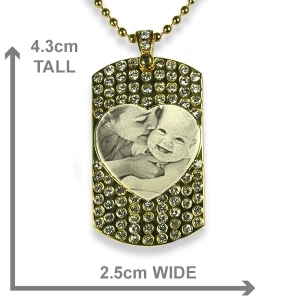 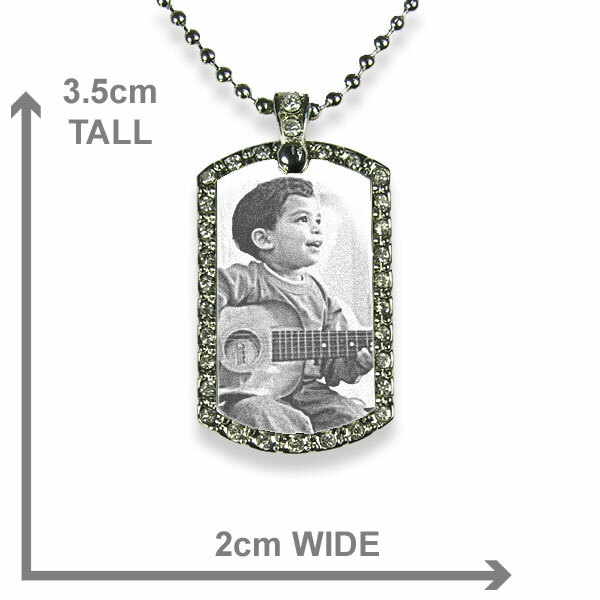 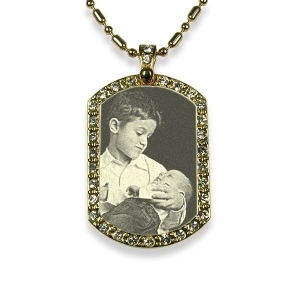 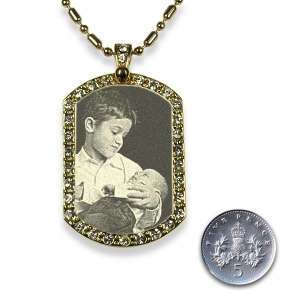 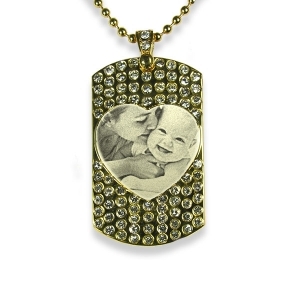 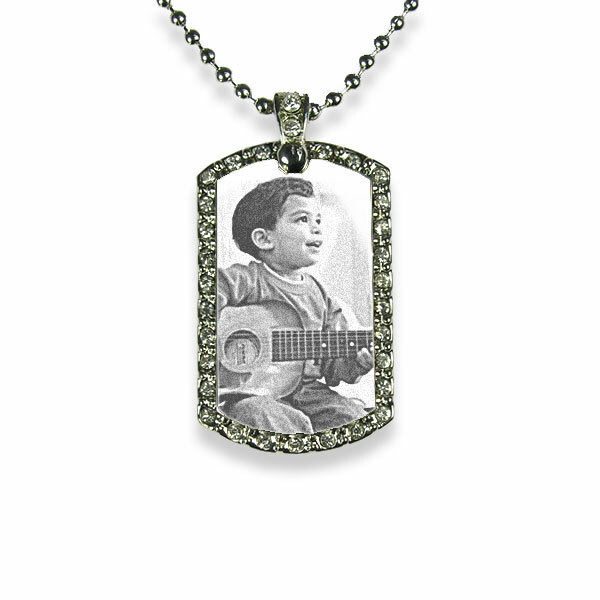 This is a Rhodium Plated Small Diamante Portrait Pendant. 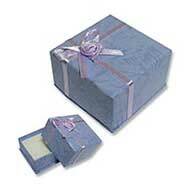 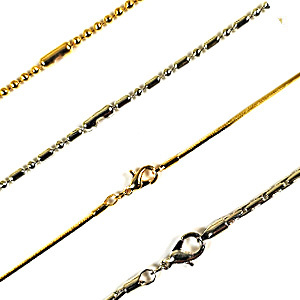 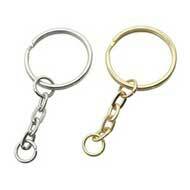 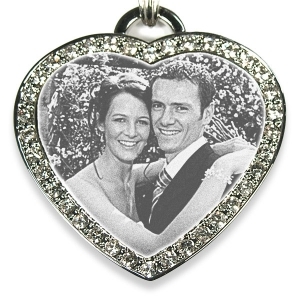 Rhodium is a highly reflective metal plating which works well with photo etching. 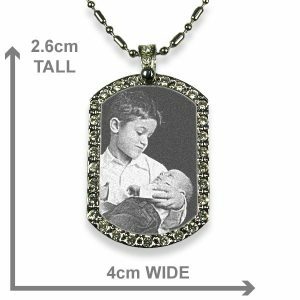 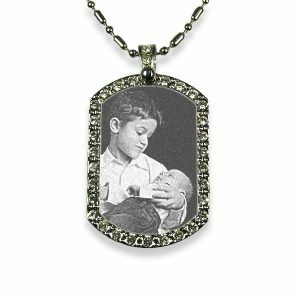 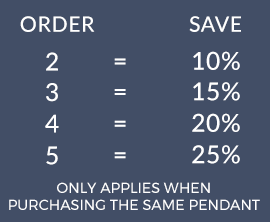 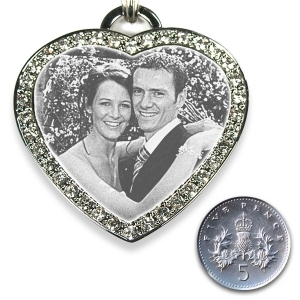 Portrait pendants are fashionable items of personalised jewellery and can look stylish when worn with formal evening wear or everyday casual clothing. 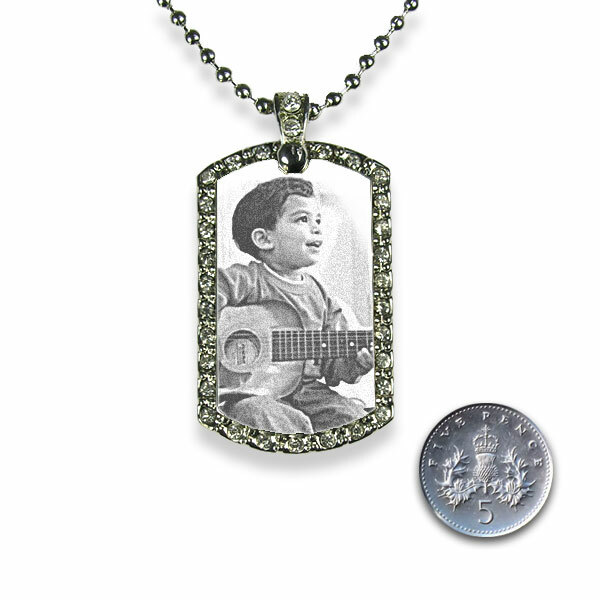 If you are looking for a gift for a young person this will be well received and treasured for many years as a keepsake of those cherished memories of their youth.